Decades of conflict have eroded the quality of life in Afghanistan, while population growth and a stagnant economy are driving more people into poverty. Over the past five years, the share of people living in poverty has grown from a third to over half of the population. Meanwhile high unemployment, inadequate housing and shortages of clean water, electricity and medical care are endemic, especially in rural areas. 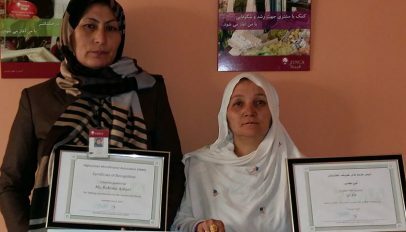 Headquartered in Kabul, FINCA Afghanistan serves nearly 25,000 clients — including women, ethnic minorities, and returning refugees — from its 21 branches throughout the country. FINCA was the first microfinance organization in the country to offer Shariah-compliant financial services, which conform to Islamic lending principles, and it is piloting a bank branch staffed entirely by women to make its services more accessible to female clients. The market for financial services in Afghanistan is hampered by low income levels, continuing instability, a lack of trust in institutions and poor financial literacy. As a result, Afghanistan has one of the highest rates of financial exclusion in the world -- 85 percent of adults lack access to a bank account. Most people rely on friends, family and a range of informal options to mobilize resources or manage their cash flow. Under these conditions, offering any kind of service at all — to anyone — requires enormous determination. FINCA is mainly concentrated in urban areas because of the logistical and security issues that block us from reaching the countryside. At the same time, women's activities in general are very constrained by social norms. Despite all these challenges, FINCA Afghanistan has sustained itself through innovation, including sharia-compliant lending products and the FINCA network's first female-only branches. The success of these efforts is proven by FINCA Afghanistan's outreach to women, who make up more than half of its borrowers. Our clients in Afghanistan have some of the worst living standards in the world. Even though they live in cities, most of our borrowers lack access to basic services. On almost every living-standard indicator, Afghanistan ranks alongside our African subsidiaries, including the lack of clean water and the percentage of primary breadwinners with less than a secondary education. Despite these obstacles that constrain women's activities, FINCA's female outreach in Afghanistan is among the highest in the network. These female borrowers make an important contribution to their household budget. About 15 percent of them are the primary source of income for their family -- three three times higher than neighboring Pakistan. The majority, however, are living with their parents or a spouse. Single mothers are rare but not completely absent, making up 5 percent of borrowers. 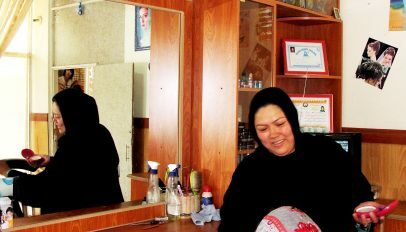 FINCA Afghanistan continually strives to ensure that women are able to gain access to its services. They have recently started testing a branch that is staffed entirely by women, which will provide a safe and socially-acceptable environment for women to receive banking services.